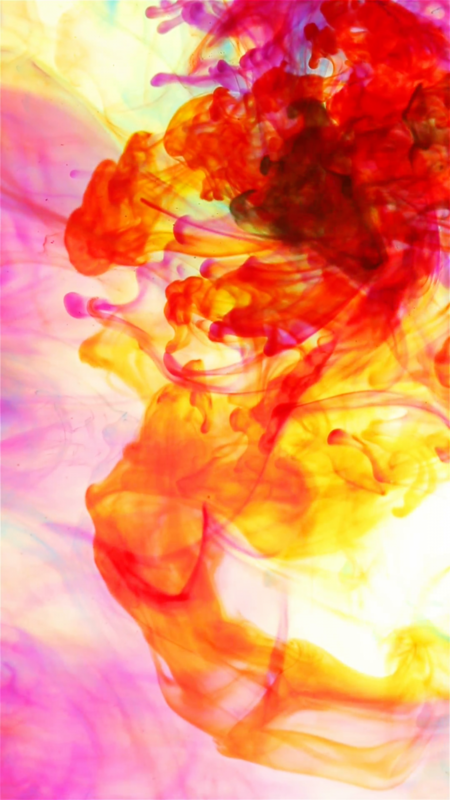 COSMOLIFE is specialized in the development and production of a wide range of high purity dyes for use in Personal Care. 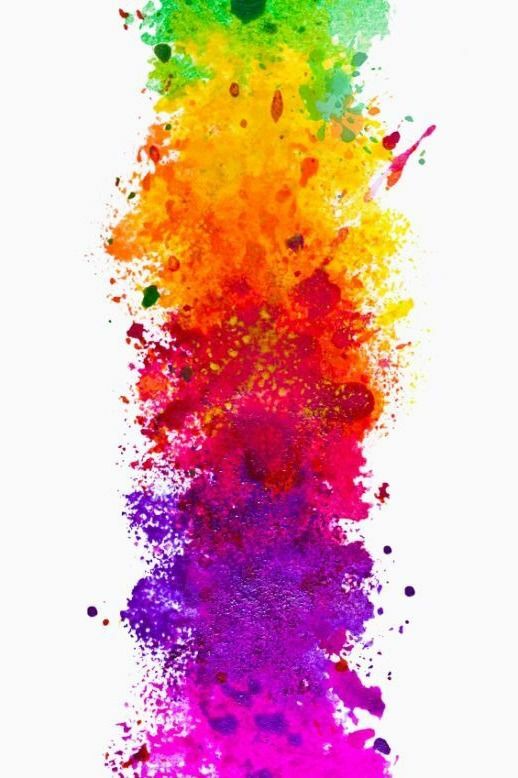 Our large portofolio is including water and oil soluble dyes in compliance with global regulations that are FDA certified in order to be exported to the US market. COSMECOL range of colors is intended for multiple applications : toiletries, skin care, oral care, perfumes, soaps, etc..
We offer consistent quality from batch to batch and our laboratory is providing customers with all the necessary technical and regulatory support. 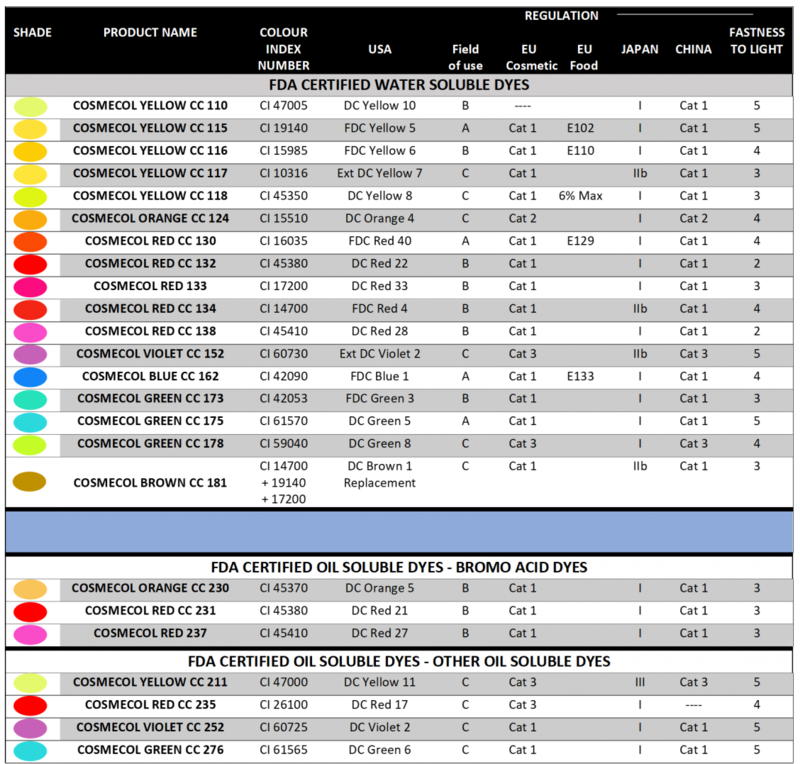 These dyes are no FDA certified but are in compliance with EU regulations. Many of them can also be used in China and Japan (see following table). EU. 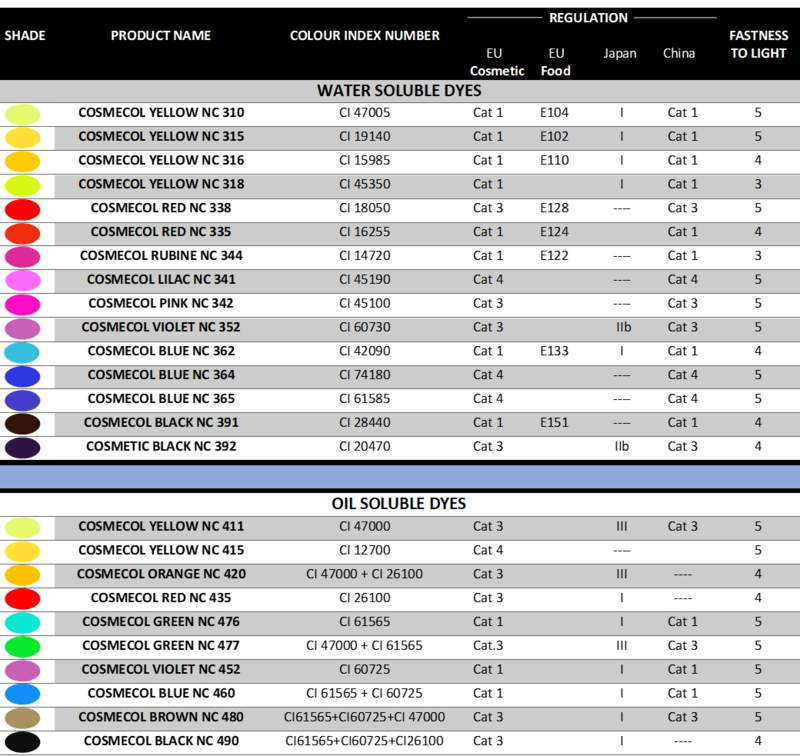 : The cosmetic colours are ruled by the Cosmetic Directive 76/768/EC, including amendments, Annex IV, Part 1. Japan : Regulated by the Ministry of Health, Labor and Welfare Ordinance Nr 126, dated July29, 2003. China : Hygienic Standard for Cosmetics, dated July 2007. Cat 4 : Allowed exclusively in cosmetic products intended to come into contact only briefly with the skin.